Christopher Paas and Sarah Kyriakedes were married October 14, 2017. 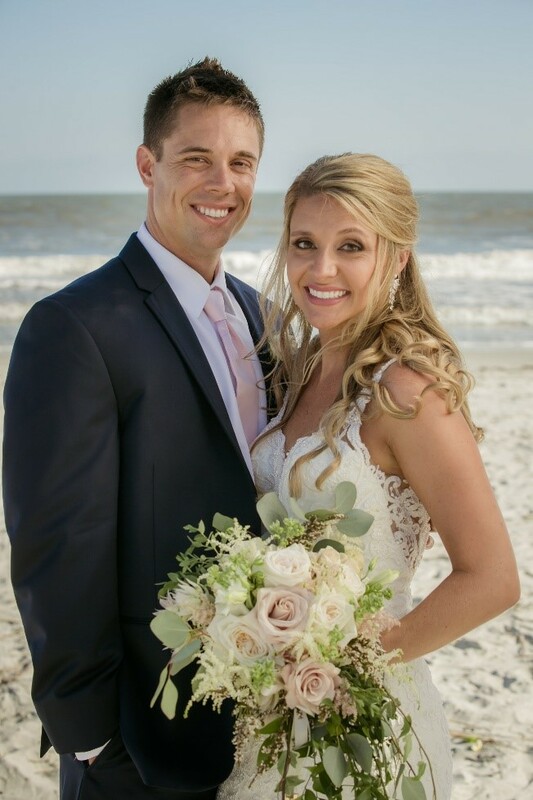 Christopher Neal Paas and Sarah Angela Kyriakedes were married October 14, 2017 at the Sonesta Resort in Hilton Head Island. The groom, Wyoming High School Class of 2006, is the son of Martha and Jeffrey Paas of Wyoming. The bride is the daughter of Chris and Diane Kyriakedes of Canton, Ohio. Among the wedding party were Jeff Weiss, Spencer Zorn, and Logan Stacey (Wyoming Class of 2006). Other groomsmen were Jamie Kyriakedes (brother of the bride), Alan Kutsay, Brian Kane, and Yianni Anzevino. Bridesmaids included Emma Paas, sister of the groom (Wyoming Class of 2009), Lexi Kyriakedes (sister of the bride), Angela Henderson, Lindsey Senge, Stephanie LaBoy, and Marina Tsirmabidis. The flower girl was Corinne Eliopolous, and the ring bearer was Maxwell Senge. Chris and Sarah are both graduates of Ohio University. The bride was a member of Pi Beta Phi sorority and graduated from the University of Cincinnati Law School. The bride is an attorney with Khouri Law Firm in Laguna Hills, and the groom is an account manager for Wheels Up. They reside in Irvine, California.